When you’re building an international friendly and multilingual website, there are a number of decisions that need to be made, and one of the first decisions will be around which countries you target and how you target them. Google Analytics data can play a big part in this, in your profile you will be able to see which countries are driving traffic to your site (Audience > Geo > Location). This may help you identify new countries to target, or help you prioritise ones you have already identified through your industry knowledge and previous experiences. Your analytics may also throw up new challenges, for example if you have a lot of site visitors coming from a multilingual country like Belgium (Dutch and French) or Belarus (Belarusian and Russian). Because there are two or more languages being used in these countries, optimising your site for just one language per country could alienate some site users, so you would want to target based on language. So how do you choose which one to target? Country or language? Which one you pick will also impact how you implement the changes to your site. This is probably one of the most difficult strategies to implement as your database will need to be configured correctly. There are a number of large sites who use this strategy (notably Amazon) to serve content to specific countries. If you already have a ccTLD (such as .com or .co.uk) then this could be a viable road to go down. 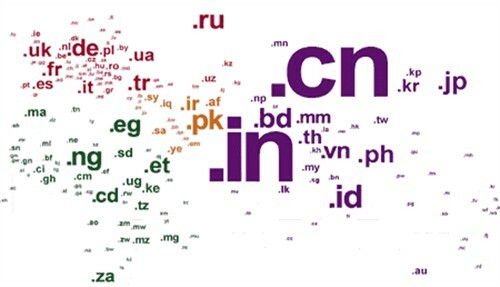 These can be a great option if you are able to purchase all ccTLDs for your brand, and I strongly recommend that you check this beforehand for all countries – I can’t imagine anything worse than getting half way through the project to find that someone owns the domains you want/need. It’s also prudent to own all of these for brand protection if you’re branching out into multiple languages. If someone were to purchase one of the domains that you needed/wanted before you, it could mean a full redevelopment of your multilingual implementation. Sub-directories may be the best route to go down if you have an established domain. They will mean that you need to alter the URL structure to incorporate a /en/ or /us/ after the root domain, but it means that the pages will benefit from the existing effort that’s gone into the original domain. They are also flexible and enable you to target users by country (like Spotify) or by language (like Atlassian do), you can even go one further and target both user country and language, solving the issue with multilingual countries like Belgium (/be-nl/ or /be-fr/). If implementing these on an existing site, it will cause a big upheaval in terms of URL structure and you will need to 301 the whole site to the new URLs that including the sub-directory. If you want to avoid adding any extra depth to your web structure, and you’re willing to put in the effort of implementing these correctly then sub-domains are an option. They are also a good way of getting the country geo-code or name into the root domain if the ccTLD you want is owned by someone else. Again this method can be used to target both country (as demonstrated by Beats by Dre) and language (like WordPress). Of course this is just one decision among many that need to be made before you even get to which pages you’re going to translate, but this decision will impact others (such as how you implement hreflang). Launching a fresh international ready site or updating an existing one is a full process that requires thorough research and analysis in order to identify the right audiences and implement the correct targeting methods.